These pages copyright ©2019 Queensland Government (Department of Environment and Science). The materials presented on this web site are distributed by the Queensland Government as an information source only. While reasonable care and attention has been exercised in the collection and processing of this data it must be treated as unverified. The State of Queensland makes no statements, representations or warranties about the accuracy or completeness of, and you should not rely on, any information contained on this web site. The State of Queensland disclaims all responsibility for information contained on this web site and all liability (including without limitation, liability in negligence) for all expenses, losses, damages and costs you may incur as a result of the information being inaccurate or incomplete in any way for any reason. 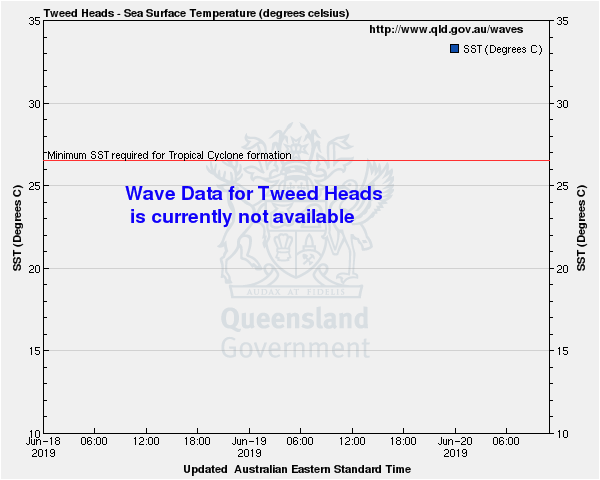 You should always check with the Bureau of Meteorology for the latest weather and coastal waters forecasts for your area before putting to sea. Jointly operated by the Department of Environment and Science and the Tweed River Sand Bypassing Project. 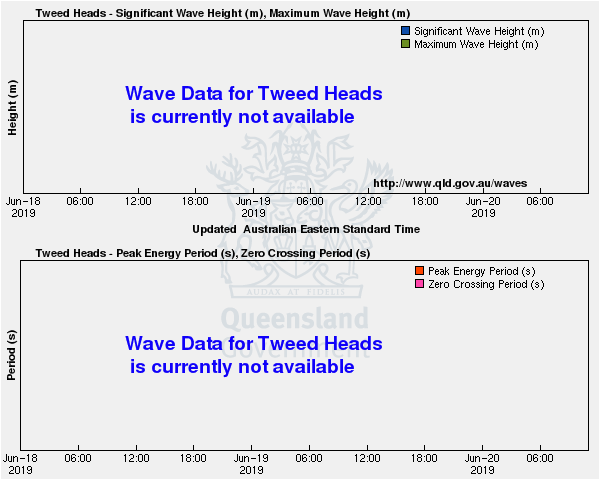 Download data for the Tweed Heads wave monitoring site. 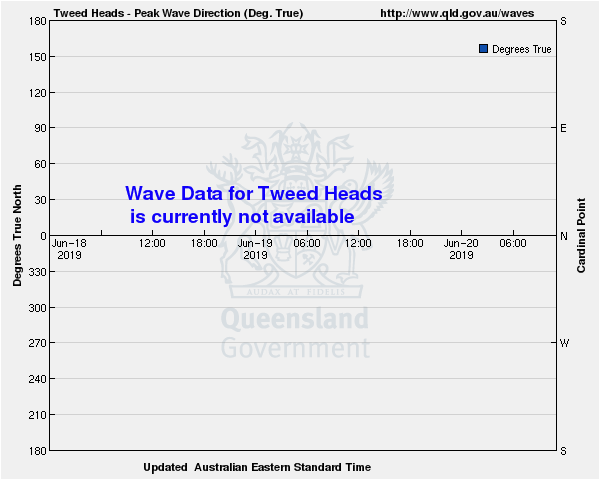 Download data for the last seven days for all wave monitoring sites.